Christmas is an expensive time of the year but it’s also a time when traditionally a lot of workers get a lot of time off. If you’d like to make use of that time and make up some of the money you’ll be spending over the festive period we’ll give you an idea of the best part time jobs for Christmas 2014 in the UK. This one almost goes without saying because retailers always need more staff during the busiest times of the year. The major supermarket chains like Sainsbury’s and Tesco are going to be the biggest employers in this sector over the Christmas period but why not check out the recruitment pages for all of the supermarkets and major retailers in your area? This is another sector that traditionally needs more staff during the seasonal period. You’ll find plenty of part and full-time roles with bars and restaurants. You won’t need to walk from pub to pub knocking on doors because sites like indeed.co.uk and jobsite.co.uk list this type of work. This is the most obvious seasonal job because no shops and shopping malls need Santas at any other time of the year. You’ll need a jolly demeanour to play the role of Father Christmas but there’s no need for experience and the way you look isn’t a problem because you’ll be disguised by a big white beard and red suit. 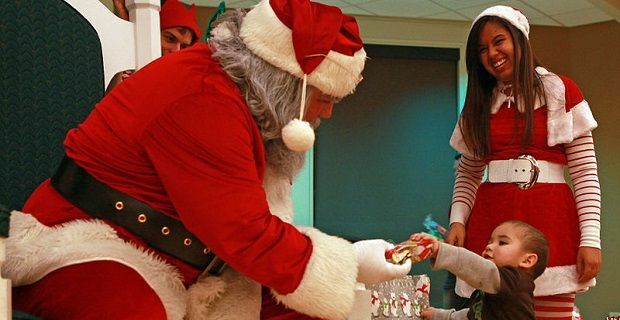 Santa Claus jobs in the UK tend to begin earlier than in other countries so if you’d like to be the one saying “Yo-ho-ho” to the little children this Christmas, you’ll need to get in early. One of the sites that’s definitely worth a look for this type of work is greatgrottos.co.uk but you’ll also find work listed at general employment websites. Whatever you choose to do for a seasonal part-time job make sure you get your application in early. There are a lot of workers out there depending on a job during the Christmas period so you’ll find that the best jobs are taken really early.